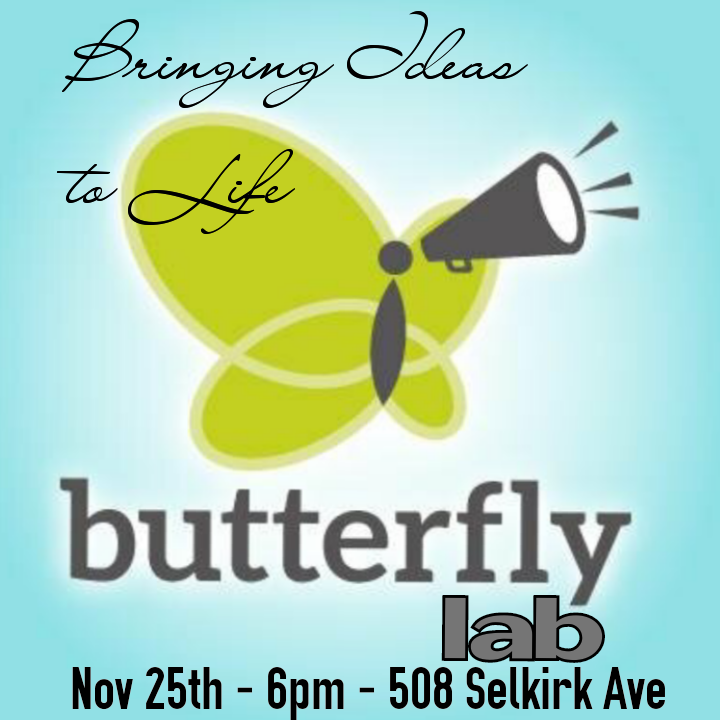 On Tuesday November 25th Youth are invited to comw down to our first ever BUTTERFLY LAB, a creative and safe environment where you can find all sorts of supports bring your idea to life! Join AYO & Our Butterfly founder Chris Leowen as we help youth workshop ther ideas, get them down on paper and begin to take the necessary steps for that idea to become reality. Bring your energy, passion & or course your ideas! 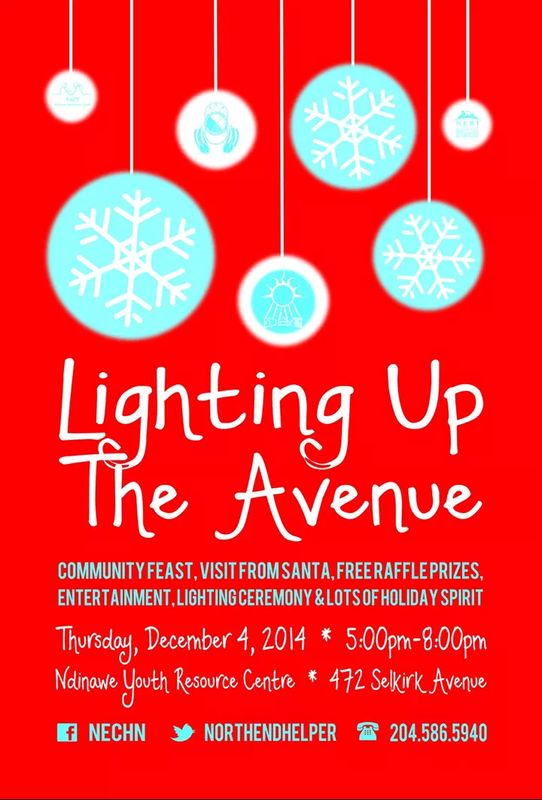 With shared passion for the North End of Winnipeg, Aboriginal Vision for the North End & North End Community Helpers Network invite you and yours, to attend the 11th annual Lighting Up The Avenue community celebration! – Special guest appearance by SANTA with gifts for children of all ages! – FREE community raffle for everyone! If you have any questions, would like to volunteer, or make a donation in support of this event, please do not hesitate to contact Jenna Leskiw or Jean Pelletier at (204) 586-5940.